My name is Candy Glendening, and I’m addicted to color. 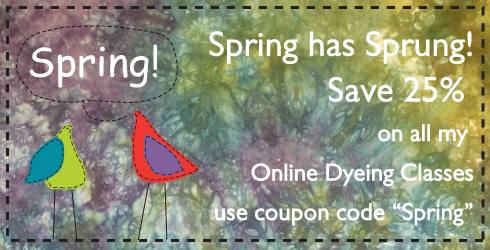 I’ve been dyeing fabrics to use in my art for 15 years now, my blog chronicles my work. 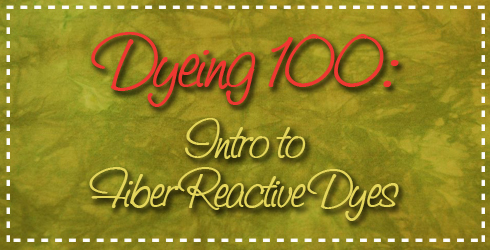 I’ve begun developing online classes to help people learn how to dye using Procion MX fiber reactive dyes. Each class is self-paced, with no end date on your access to the information. I use a combination of written worksheets, templates, step-by-step directions with lots of pictures, and videos of steps that could be tricky. I make a .PDF of each session that you can download for saving on your computer (and printing if you so desire). These classes are packed with details! 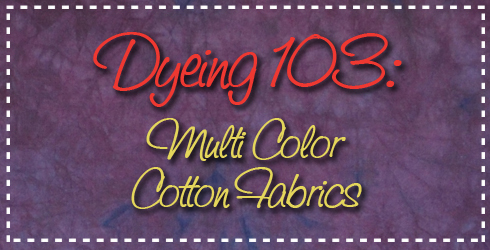 In Dyeing 100, my simple beginner’s class, there are 3 hours of video, 38 pages of PDFs plus printable formula worksheets in several formats! 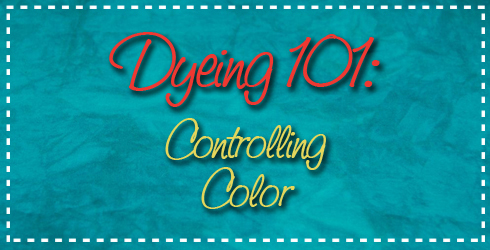 In Dyeing 101, there are 5 hours of video, 90 pages in the .PDF files plus 2 multi-page spreadsheets to use in calculating dye amounts and a worksheet for each session. 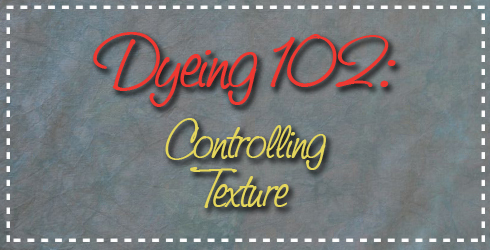 Dyeing 102 has 10 hours of video, 130 pages of PDFs along with session worksheets and 2 spreadsheets! 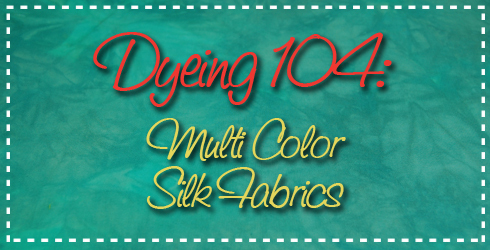 Dyeing 103 has 11 hourss of video, 134 pages of PDFs along with a spreadsheet for each color relationship! Dyeing 104 over 12 hours of video and 184 pages of downloadable PDF’s, along with a 11 helpful excel spreadsheets. Each session has a Question and Answer forum associated with it – I will respond to any question you have within 24 hours, and both these questions and answers will be available for other registered students to view. The beauty of an online course is that if several people are having the same difficulty with a particular step, I will just create additional content to add to the session to clarify any confusion. By day, I teach biology to students at the University of Redlands who are non-science majors. I am very comfortable engaging my students and putting complex ideas into terms they understand. I’ve spent 19 years learning how to dye fabric, and developed this way of dyeing to accommodate my busy schedule and not waste my limited resources. 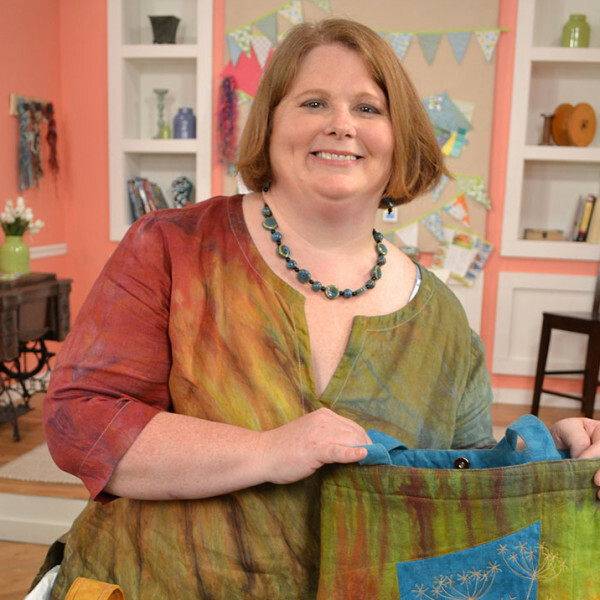 I have 28 “how to” articles published in various Interweave publications (see list here), I have been a guest on eight episodes of Quilting Arts TV, and I filmed 2 different Quilting Arts Workshops as well. Video clips from them can be found here; they are a great introduction to my teaching style.